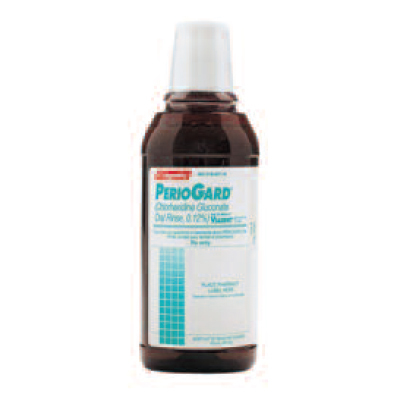 PerioGard Oral Rinse (0.12% chlorhexidine gluconate) from Colgate Professional is a broadspectrum antimicrobial oral rinse that has been proven safe and effective for treating gingivitis. This prescription oral rinse is indicated for use once daily between dental visits as part of a professional program for the treatment of gingivitis. PerioGard has lasting efficacy and an easy-to-use dose cap to improve patient compliance.